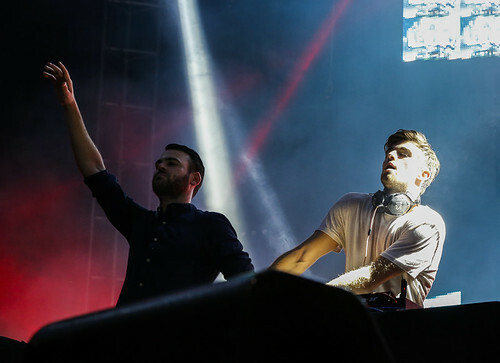 The Chainsmokers are an American DJ and production duo consisting of Alex Pall and Andrew Taggart. The EDM-pop duo achieved a breakthrough with their 2014 song “#Selfie“, which was a top twenty single in several countries. The Chainsmokers released the official video of their new single “Kills You Slowly”. For the video, Drew invited his brother Lucas Taggart to co-direct the video. This is the second time Lucas Taggart participates in a Chainsmokers project. The first project they worked on together was the video of the track they made next to NGHTMRE where Lucas was the producer of the video. “Kills You Slowly” is for everyone who clings to something or someone toxic. The Chainsmokers invite us to let him go. Watch the video ( The Chainsmokers – Kills You Slowly ) and tell us what you think! You hold on, hopin’ it gon’ stop, but it don’t).